Calling all Kids! Calling all Kids! Are you ready to swing higher, slide faster, and climb a rockwall to the sky on the all new Happy Gym Turbo? If so, welcome aboard! 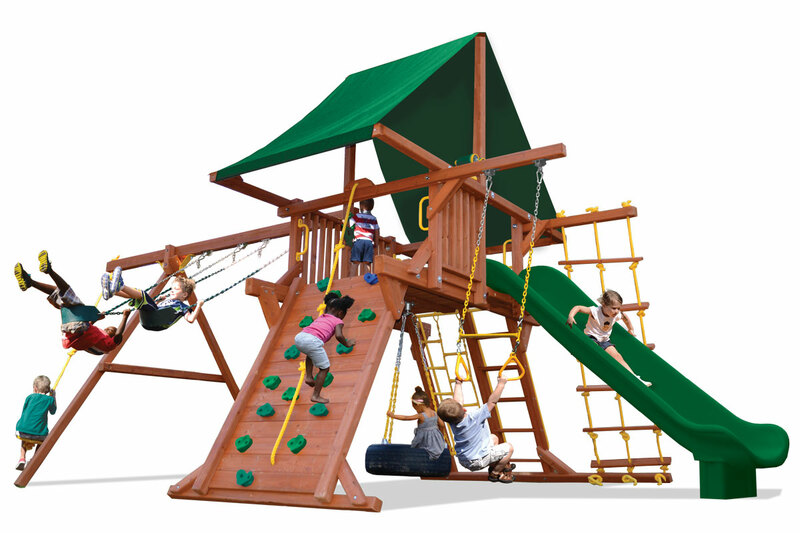 Boasting a 5′ 6″ platform height and a 11ft slide, this play set soars above all the rest.